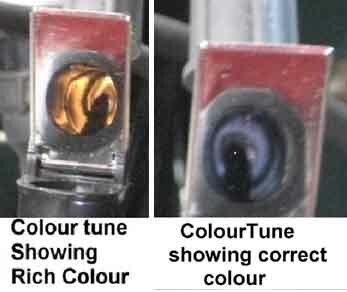 In one of the episodes, where I was trying get my engine running, I mentioned the use of a ColourTune, to help get the mixture right and promised to write an article about its use. Here it is. The photos show a single unit in use, but I eventually bought a second one, which saves the hassles of many swaps between the two carbys, whilst adjusting. Note also that there are two versions, a 14mm thread and a 10mm thread, we need the 14mm one. The first photo is of all the bits that come in the box. 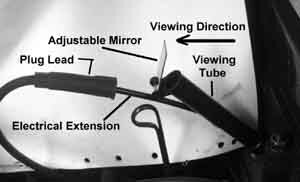 Warm up the engine, then remove a spark plug, in the carby bank, that you are going to adjust, and insert the sparking unit, with the sealing washer. 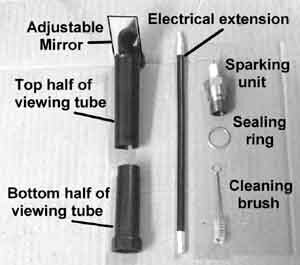 Attach the electrical extension piece, fit the bottom half of the viewing tube over the extension and the sparking unit, fit the top half of the tube, so that the extension is outside. Attach the plug lead to the extension. Start the engine and adjust the mixture until you get a nice “bunsen burner” blue. The colour photos show the difference between a rich mixture and a correct mixture. It’s a bit harder to tell if the mixture is too lean as it becomes a lighter blue. I started from rich and stopped as soon as I got the blue colour. 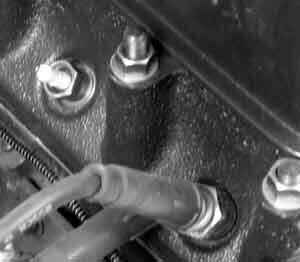 Once you have the first carby adjusted, stop the engine, remove a spark plug from the other carby bank, remove the sparking unit and insert in the other cylinder. 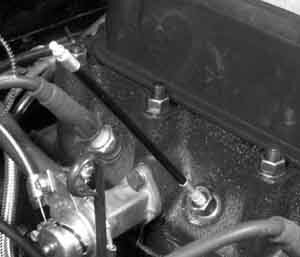 Replace the spark plug in the first cylinder. Now adjust the second carby. When finished go back and do the first one again, then the second one and so on until they are both correct. Tedious, I know, which is why I bought a second ColourTune. After refitting the air cleaners, I ran the car for a while and then checked the spark plug colour. They seemed a bit lean, so I turned the mixture nuts one flat to the rich side. After running for a while I rechecked the colour of the spark plug and it was the correct pale beige of a correctly adjusted mixture. Me one happy boy.